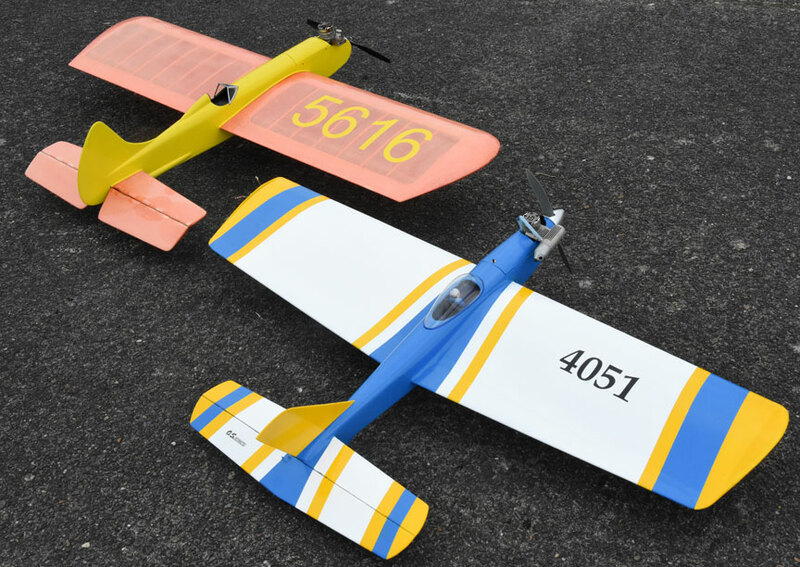 Precision Aerobatics planes await action at the 2018 Stunt-a-Thon. Flying Lines photo. 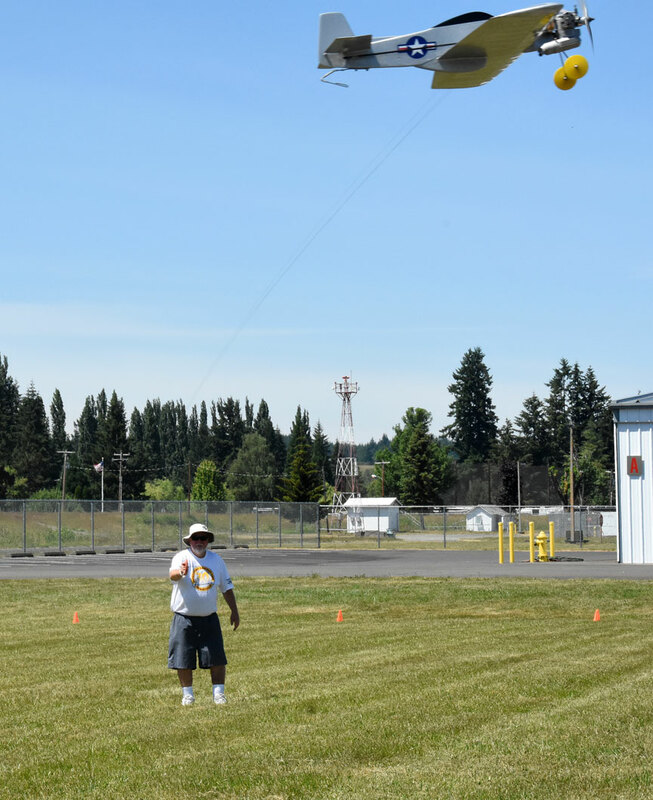 June 23-24, 2018, Chehalis Airport, Chehalis, Wash. 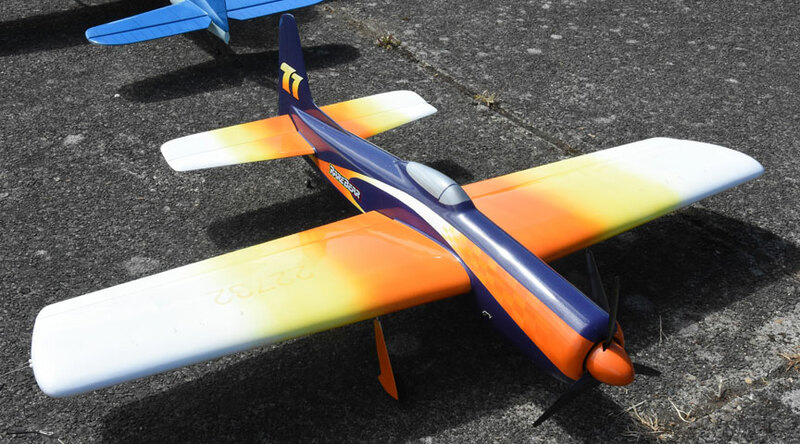 Attendance at the long-running Stunt-a-Thon bounced back from the down year of 2017, with increased entry in all the aerobatics events and the addition of two Combat classes and Northwest Sport 40 Carrier. 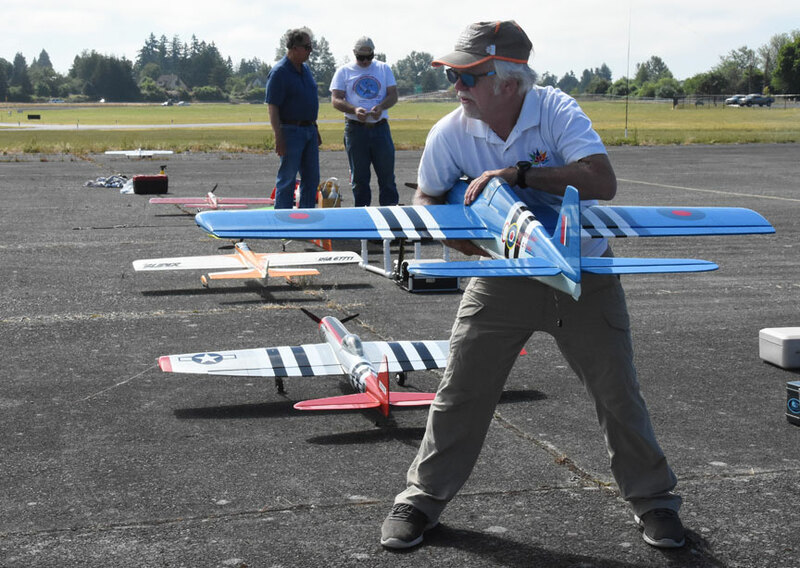 Led by Contest Director Mike Haverly, the Northwest Skyraiders put on a well-organized and enjoyable competition in nearly perfect control-line flying weather. 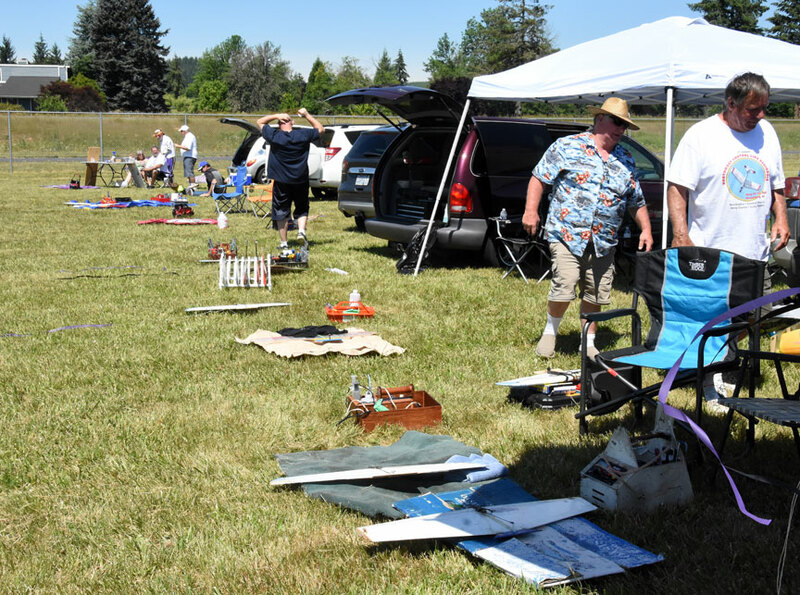 A silent auction of many control-line items (planes, engines and more) and a raffle of three vintage kits added interest. Howard Rush ran the Stunt tabulation office. John Knoppi was the Combat director and Mike Potter conducted Northwest Sport 40 Carrier. 5. 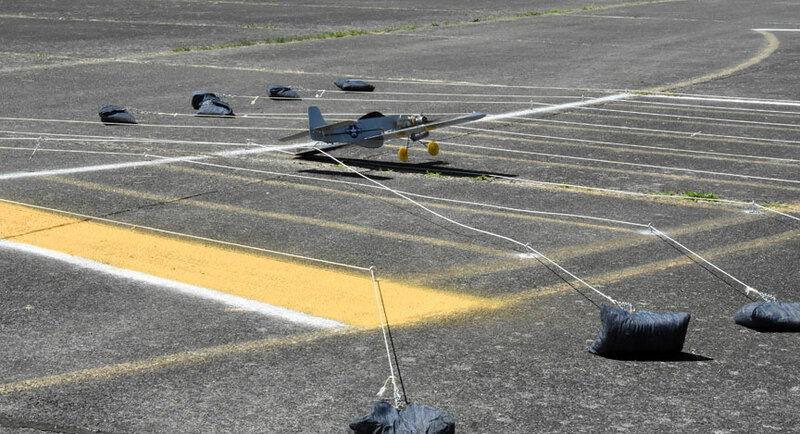 Jeff Cohen, Tacoma, Wash.
John Leidle's Olympus makes the winning flight in Classic Stunt. Flying Lines photo. 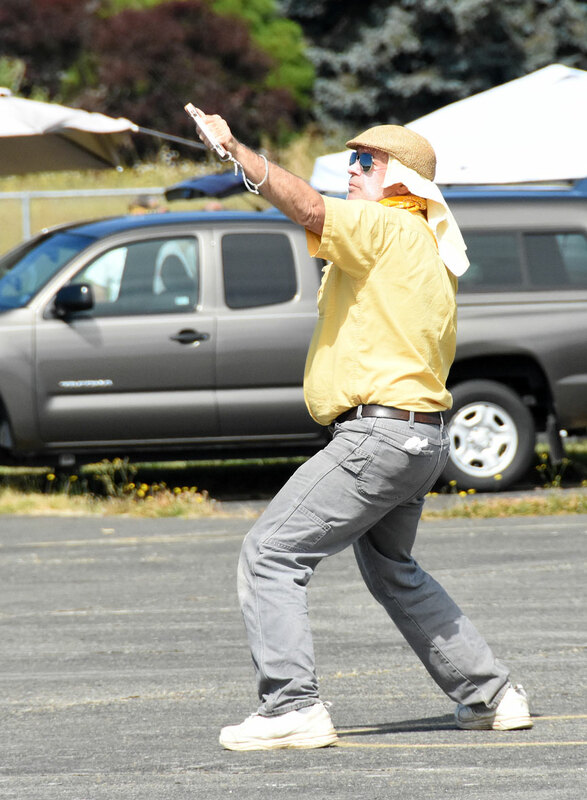 Leidle shows his piloting form. Flying Lines photo. 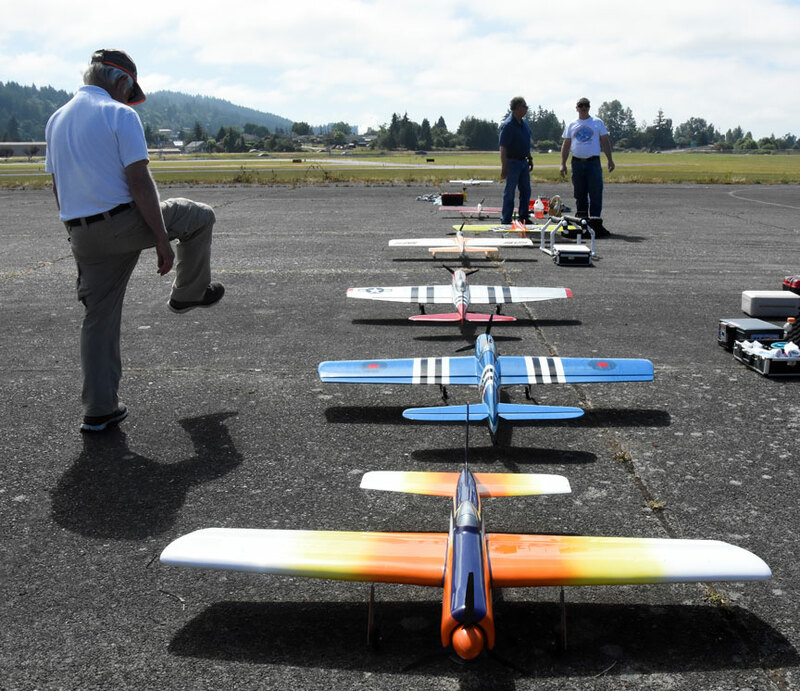 Judges Jim Johnson (left) and Pete Peterson look over the Classic Stunt planes. Flying Lines photo. Combat planes and pilots awaiting action. Flying Lines photo. 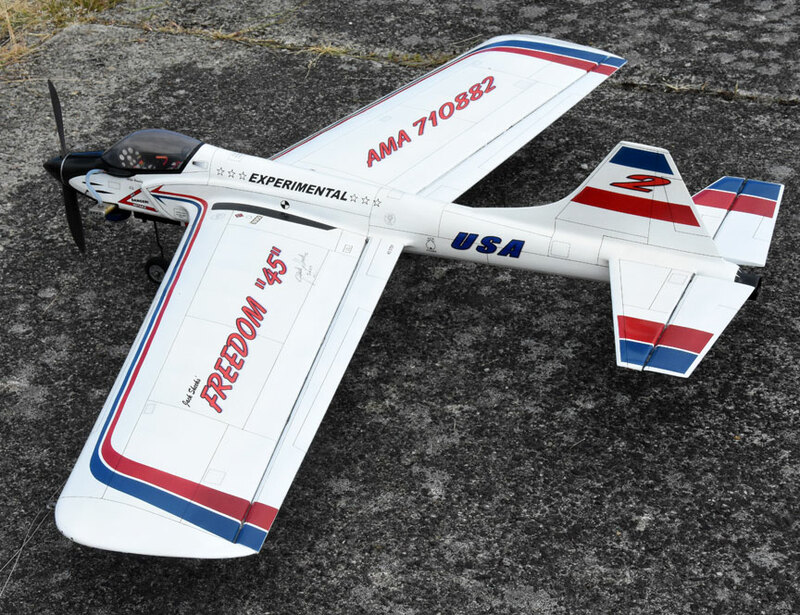 Mike Haverly's Freedom 45 Classic Stunt plane. Flying Lines photo. Two approaches to Profile Stunt: In foreground, Dane Covey's electric profile Nobler; in background, John Thompson's Evolution .36-powered Scrub J (a disguised Cardinal). Flying Lines photo. 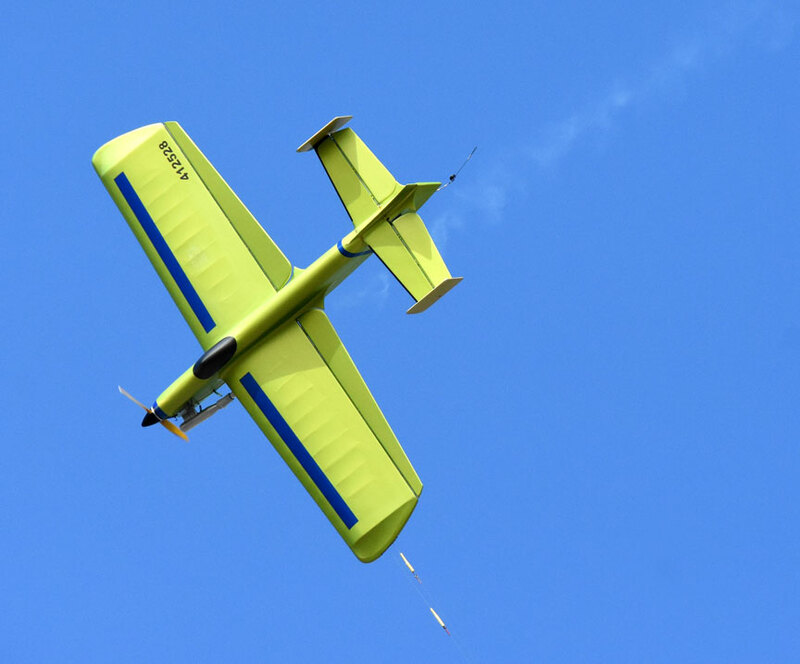 Alan Resinger's Rare Bear for Precision Aerobatics. Flying Lines photo. 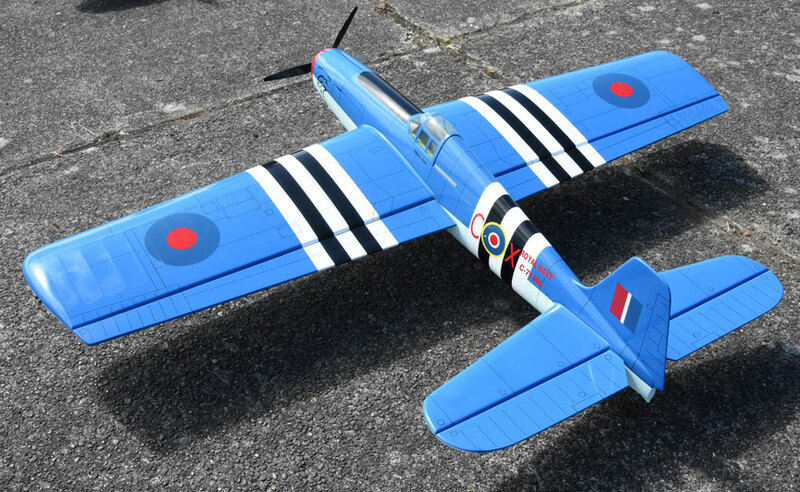 Mike Hazel flies his Northwest Sport .40 Carrier plane ... Flying Lines photo. ... and nails the landing. Flying Lines photo. Chris Cox pull-tests his Hellcat. Flying Lines photo. A closer look at the Hellcat. Flying Lines photo. 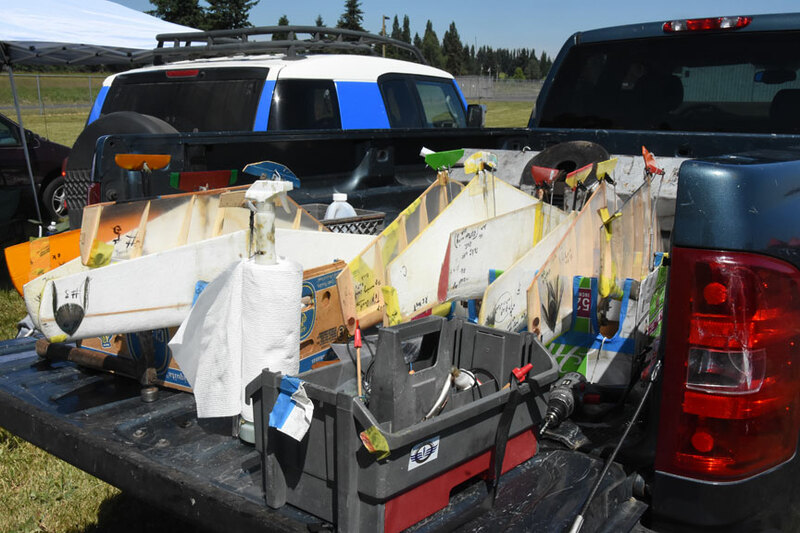 Robert Smith's truckload of Combat planes. Flying Lines photo. 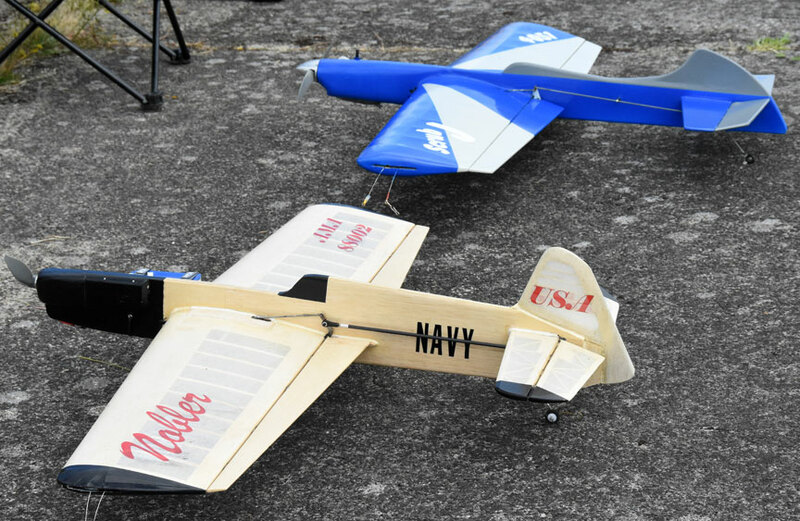 There were only two entries in Old-Time stunt -- the regulars at almost all the recent contests: At left, Dave Royer's Humonguous, powered by Merco .61, and at right, John Thompson's Barnstormer, powered by O.S. Max .25. Flying Lines photo. 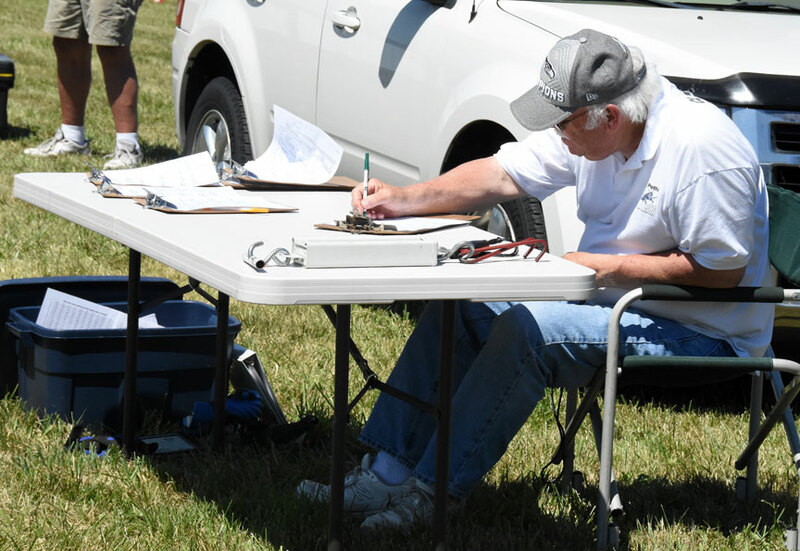 Carrier Event Director Mike Potter calculates scores. Flying Lines photo.